Sealants are one of the best and simplest ways to protect teeth from decay. Many patients we see are born with or develop very deep grooves and pits in their teeth. Some of these areas are too small for even a single toothbrush bristle to access, but they’re big enough for bacteria to colonize. As bacteria access these difficult to clean areas of teeth, they continue to absorb nutrients from food and drink and excrete a sticky, acidic biofilm known as plaque. Over time, plaque weakens tooth enamel and may lead to tooth decay. Children especially have difficulty brushing and flossing thoroughly enough to prevent decay in these deep pits and grooves. That’s where dental sealants from Rogersville Family Dentistry come in. The thin, clear coat of plastic protects teeth from decay-causing bacteria. Contact our team to find out more or ask about dental sealants at your next six month checkup. 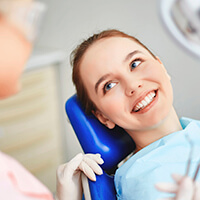 Before we place dental sealants, we want to make sure your smile is completely healthy. We diagnose, treat, and repair any current oral health concerns. Once patients achieve their healthiest smile, we apply a thin coat of sealant material to the surface of teeth. The sealant is then hardened in place with a curing light. Once in place, dental sealants create a barrier between tooth enamel and destructive bacteria that can protect teeth for years, keeping smiles whole and healthy and reducing risk for more severe oral health issues down the line.